This post first appeared today on the Bryant Park blog. I'm repurposing! 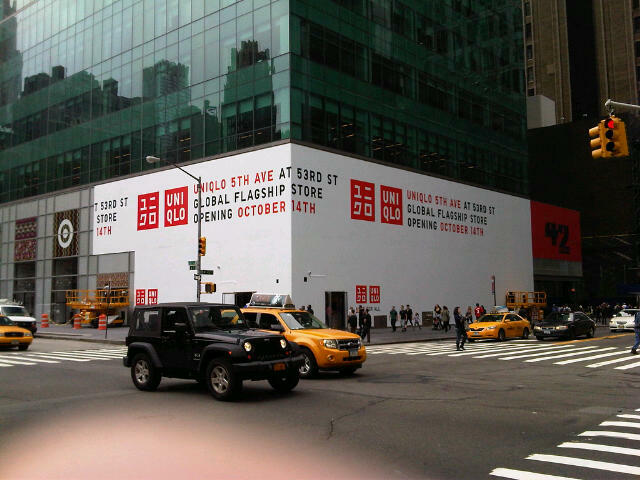 And I'm anticipating Friday, October 21st, when we on 34th Street will have our very own Uniqlo. See? SwamiLeon has been hard at work. Bless you, SwamiLeon. As we all eagerly anticipate the grand opening of not just one but two Uniqlos in Midtown (including a three-story space on 34th Street), the Japanese retailer has teased us with pop-ups all over town. Now Bryant Park has one of her own, a formidable space on the southwest corner of 42nd Street and Sixth Avenue. Yes, this is the same space Target well-utilized to kick-off their Liberty of London and Missoni collaborations. 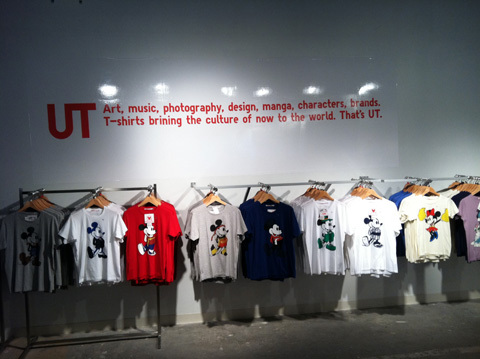 Uniqlo will be in residence here until the 8th of October. I highly recommend a visit to properly ring in the fall season with some packable down coats, vests, cashmere sweaters, and a perfect tapered jean. Resisting Mickey and Minnie T's is impossible. It's been years since I tried on Uniqlo in the Soho store, but it was everything I remembered it to be: great fitting, well-cut inexpensive clothing that focus on the basics. Somehow Uniqlo's basics are never boring. Voila: A great basic to wear with skinny jeans or leggings. Mine above are the Uniqlo skinny fit tapered and they fit like a designer jean. These are $49.90. 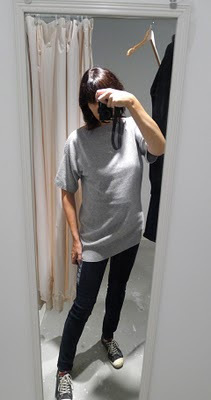 I'm trying to show off the boat-neck shoulder detail that makes this staple modern and chic. 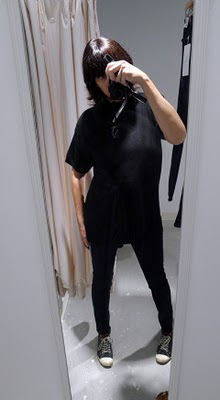 This tunic ($149.90 for 100% cashmere) also comes in a deep red color but only in XS because it's fabulous so all us Midtown shoppers have snatched up the Ss, Ms, Ls, and XLs. Want to see more? Peruse...more photos at the Bryant Park blog, where the jump break isn't broken as mine seems to be...but if I've already convinced you with my one adorable tunic go to 42nd and Sixth pronto before you miss out on other gorgeous colors in your size. I'm glad I don't live in NYC. If I go anywhere near a Uniqlo I am guaranteed to spend money I shouldn't spend.